Single door refrigerators are the most sought-after models as they are affordable to buy and easy to port. Single door fridges from the popular brands like LG, Samsung, Whirlpool, Godrej uses innovative technology and stylish designs that elevate the aesthetic of your home. The single door refrigerators come with 2-star to 5-star BEE rating for their power efficiency. The single door smart refrigerators from LG are equipped with features like Smart Diagnosis, Auto Connect, and Smart Inverter Compressor for increased efficiency. In the capacity front, it is essential that you pick the model based on your family size and budget. Single door refrigerator 300 litre is the high-end model that features more space and functions required for a user. If you can satisfy with lesser space and more concerned about the budget, 150 ltr single door refrigerator or a 165-litre refrigerator is an ideal choice. The key features of a single door refrigerator include the reciprocatory compressor, dedicated shelves, and trays, and anti-bacterial removable gasket. Get ready to buy a single door refrigerator online by choosing the right model from the below #244 Single door refrigerator price list. 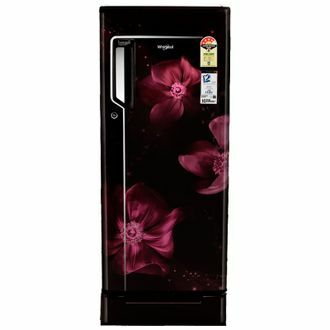 The details of single door fridge with price is updated on 20th April 2019.